Monday and Wednesday the waterhole teams worked on building shade net structures for the waterholes. Both teams really came together and came up with ingenious designs that could attach to and then detach from the hides so that they could be used at more than one hide. So for all you previous expedition team members, that means one more thing to bring to the waterhole! But I think everyone who volunteered in the last slots will agree it was necessary. 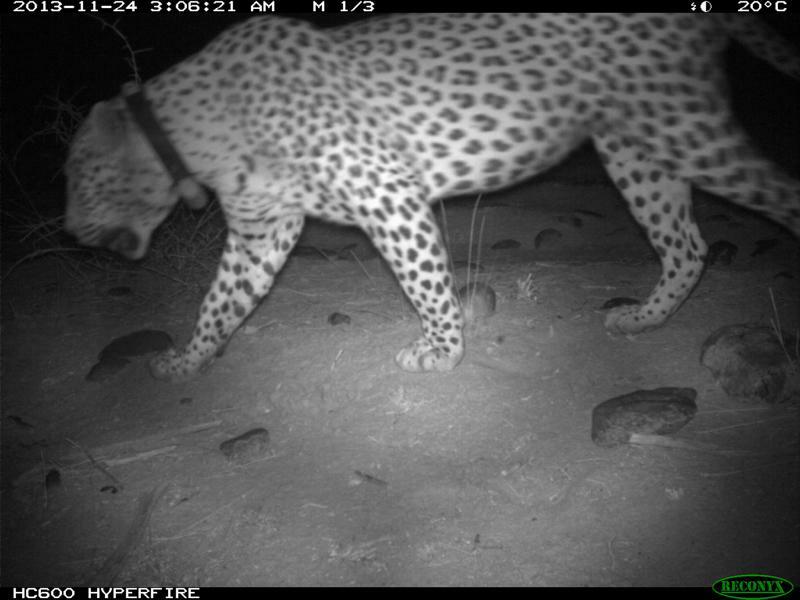 Wednesday we picked up the camera trap pictures and got a couple of nice pictures of L055. 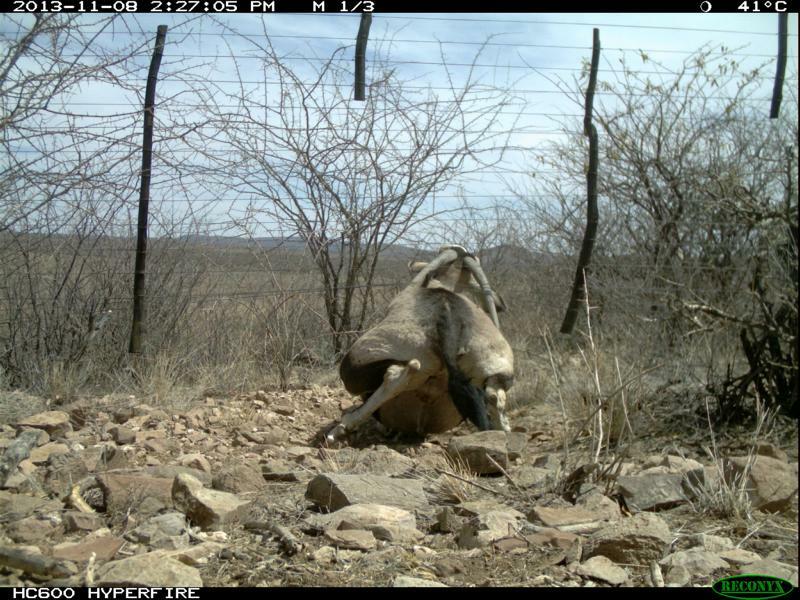 We also caught an oryx in the act of slipping under the fence…amazing how those animals can fold themselves up and get through a warthog-sized hole in the fence! Friday morning Vera picked up the pictures from the new camera trap location, and yes! We caught the aardwolf on the camera. Our pictures over the last few months have gone up on the blog https://biosphereexpeditions.wordpress.com/category/expedition-blogs/namibia-2013/. 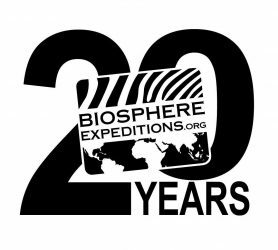 A selection of photos and/or diary entries has also appeared on www.facebook.com/biosphere.expeditions1 | https://plus.google.com/103347005009999707934/posts | http://pinterest.com/biosphereexped/. 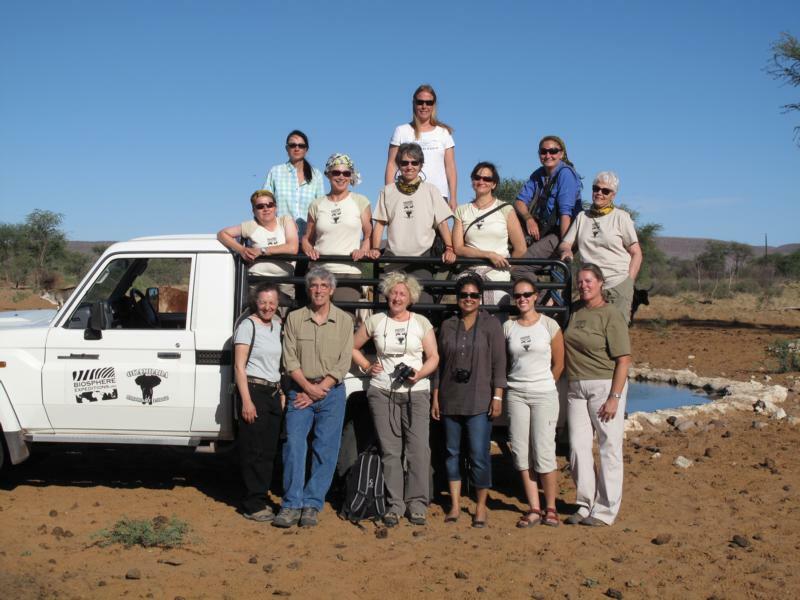 Our final team 7 for this year is gone now, and that wraps up our Namibia expedition for 2013. A huge thank you to everyone who helped this year. It was great to meet you all and work alongside you. 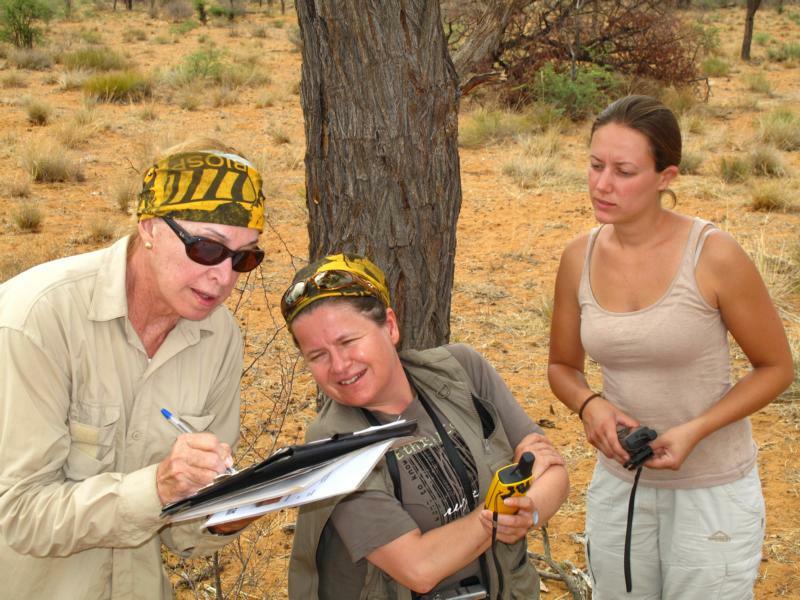 Your hard work, flexibility, and willingness to get dirty and help out has amassed a mountain of data for Vera. Thanks to you we also captured and collared three leopards, one brown hyaena, and took samples from four honey badgers. Vera’s scientific report on the expedition will be published in a few months. 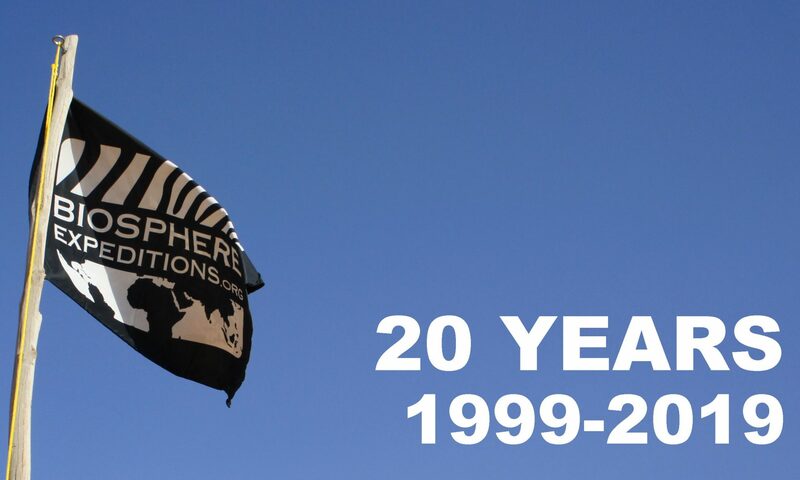 Safe travels team 7 and all the best to all of you Namibia expeditioners 2013. Perhaps we’ll meet again some day, somewhere on this beautiful planet of ours.